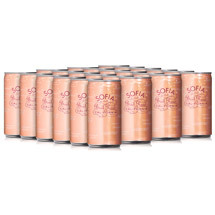 Sofia Brut Rosé Minis offer the same seductive flavors as our classic Brut Rosé in a sassy single-serving can. 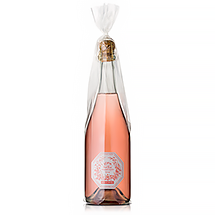 Blended from Pinot Noir and Chardonnay, Brut Rosé Minis bestow light effervescence and fragrant notes of fresh fruit, flowers and spice. 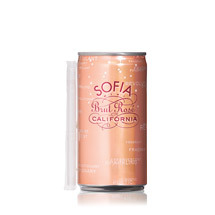 It’s sparkling flavors pairs beautifully with food… and even better with parties, picnics, and sipping by the pool. The growing season started early but saw a good deal of winter rain for the first time in years. The much-needed precipitation gave way to pleasant spring temperatures and a consistently warm summer. Though Monterey County is chilly compared to other California appellations, there’s always plenty of sun to help the fruit mature slowly, developing rich concentration and aromatic intensity. The French Crémant sparkling wine, which our Brut Rosé is styled after, have a light pink salmon hue from skin contact with the red fruit. For our selections we look for grapes that deliver clean, refreshing flavors and a light, elegant body. To keep the alcohol content low, the fruit is harvested at a lower brix in the early morning hours and immediately pressed into stainless steel tanks. Effervescence is created using the Charmat method, which produces frothy bubbles and a lightly creamy texture. 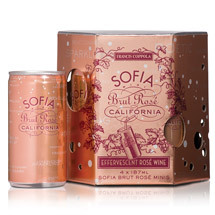 Graceful on the palate with fine effervescence, Brut Rosé Minis sparkle with floral and spiced berry accents laced with tea leaves, a touch of clove, and crisp, refreshing flavors of tart red currants, pomegranate, strawberries, and peaches.